On a Sunday evening, March 27, 1994, I preached my first public sermon at my home church, St. John First Baptist Church, in Corpus Christi, Texas. I was fifteen years old. I knew very little about life, people, trouble or the Bible. But I knew two things. On the one hand, I knew I had been called by God. On the other, I knew I wanted to be a preacher. I have heard, even then, of preachers (including my father) and their stories of ‘running from the call’, in an act of rebellion to God’s calling them to proclaim God’s Word. This was never me. I wanted to preach…since I can remember. Why? I didn’t know then. And, I am not sure I know now, why I WANTED to. But I did. Because of these personal dynamics and aspirations, my parents were very delicate in how they handled my urgings and open frustrations that God, in my view, was taking too long to call me. I knew very little of how parents can play too big of a role in this process, and prematurely influence their children to do something ahead of God’s providential timing. 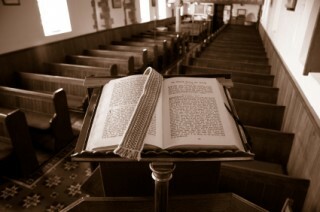 I would often ask my mother, “when is God going to call me?’ or “why is He taking so long?” And there would even be people who would eventually say to me, “you’re the little preacher in the Pullam family” or “when are you going to start preaching?” At 8 or 9 years old, I would get very excited during this time of year because my parents were on their way to the National Baptist Convention. This meant only one thing to me – my Daddy would be returning home with tapes of the preachers I wanted to hear. It seems weird now that I was waiting by the door to hear the likes of a Stephen Thurston, E.K. Bailey, E. Edward Jones, Isadore Edwards, Albert Chew, Earl Pleasant, William T. Glynn, Terry Anderson and the list goes on and on. They all had a captive audience in me. I am now 36 and I have 11, 7 and 3 year old boys; and I wouldn’t know what to think if they wanted to listen to any kind of preaching or read a book in my library. Now I know how weird or ‘different’ I was. I’d sit in church and hold on to every word my father said, and even his mannerisms in the pulpit, and his lifestyle and walk outside of the pulpit. My greatest joy growing up was to sit among his books and read his notes. His books became my friends and personal acquaintances. By 10 and 11, I was reading Herscell Hobbs, J. Dwight Pentecost, Warren Wiersbe, James Cone, W.E. Vines and others. I can’t say I knew what they were saying, but I read them. THEN….I became a teenager. Eventually, I turned 15. I was a freshman in high school. I fell in love with a girl who I thought walked on clouds. Ok, let me just tell the truth, she DID walk on clouds; nobody else saw it, however, but me. Interestingly, my previous yearnings and urgings became dormant and silent. I still loved preaching, etc. But my interest was her, playing football, etc. I suppose one thing that may have had an impression upon me was the fact that she was a spiritual young girl who had also come from a preaching home. But directly, she knew nothing of my previous desire or internal inclinations to preach. Then the strangest thing happened… During this silent time, when I had completely abandoned my urge, God began to speak to me. I could not let it go. To me it is difficult to explain to someone who has not been called how you know you are, but I would liken it to being pregnant. Some women have a inclination they are carrying something or someone. It was that real to me. I heard no audible voice. My parents never brought it up. Things were just…..quiet. I never will forget the night I went to my father at his office at the church. That was one of the most difficult conversations to have. First of all, how would I start the conversation? “So….it’s my time!” or “I must be about my real father’s business.” I don’t know what I said, but I opened up my mouth and simply told him I have a strong feeling that I must preach. Somehow I had mustered that this was not something I merely wanted to do; but something I HAD to do. I left that night, with my father praying with and for me. My father dealt those months with me in a way I know now was wise and very rare. Basically, he GAVE ME A HARD TIME, but didn’t destroy my spirit. He sent me to pray. He gave me a reading assignment concerning the call. It was a LONG book; but I read it. I came back. This happened a few times; and I kept coming back! He knew then that this was something maybe serious, atleast to me. Then…I had to go before the church. No one, not even my mother or the girl I was dating, knew what was going on with me. In December of 1993, I walked forward at my father’s church, and announced my call to preach. I will always love the people of St. John First. They received me with open arms. Before I got home to a phone, my girlfriend and the entire city, it seemed, had already heard of the announcement. I thought the next week I would preach. Right? Wrong! Whatever reading and researching I had done prior to my announcement paled in comparison to the reading assignments my father gave me. He gave me the assignment to read through Al Fasol’s “Steps to the Sermon.” This book blew me away, and still does. And it is a book I try to read annually or every other year. Moreover, it is a reference I use when struggling in my study approach throughout any given week of preparation. Additionally, I voluntarily referenced A.P. Gibb’s “The Preacher and His Preaching”. From December of ’93 March of ’94, I slaved and pored myself in study, reading and preparation, until my father felt comfortable setting a date for me to preach publicly. The date was set for March 20, 1994; but that happened to be my Dad’s 13th preaching anniversary. So it was moved to the following Sunday. But…I had to do one more thing – I had to preach my sermon in front of my Dad, as he sat there in the church. Empty. With him staring at me. Torment! I am sure it was more tormenting for him to listen than me to preach it in front of him. Amid the mess, plagiarisms, mispronounced words, etc….it got through the Rev. William Lanier Pullam filter. I received a personal illustration of grace and mercy. I preached that evening, on the 4th Sunday of March. I couldn’t believe all of the people who were there to hear me. It was until years later that I realized they weren’t there because of me, but out of respect and love for my parents, grandparents and family. There were a few of my friends there; but they were there with their parents, so they didn’t count. When I look at the tape of my first sermon now, there were 30 or 40 preachers there, along with a crowded church with no where to sit. Even though some of my preaching heroes (such as Cleophus LaRue, Lloyd Pullam, J.R. Miller, Harold T. Branch and others) were there, I was just ready to get it over. My sermon was “Work Out Your Salvation” from Philippians 2:12-16. I can still preach that sermon and pray the opening prayer backwards! I cringe when I hear myself preach; but I would climb under a bed if I had to hear that sermon again. The only thing I cherish these days about that is still have the handwritten manuscript of that sermon. The sermon was over. I was warmly received. And then, they took up an offering! I was able to go to the bookstore the next day and get a Thompson Chain Study Bible, a Broadman Commentary set and a few other books to build my library. My Dad was also insistent that I open up a bank account so that I could make future deposits and continue to build my library. What are a few things I learned through the experience of a call to preach? At the time of my calling, my father, two of my uncles, my grandfather and others were preachers and pastors. But this should not be the determining factor when it comes to one’s call. I have often jokingly said, ‘Some were called, a few went and many their Mama sent.’ Humbly, I suggest this is not a good place. Parents should be very careful not to play into the call. The calling to preach is not akin to piano lessons, a football practice or any other extracurricular activity. It is a serious call from God. Any child, knowingly or unknowingly, must live the rest of their lives living up to or down from YOUR call for them to preach. If God is or has called someone to preach, He can do it without your help. In 1 Corinthians 9:6, Paul says, “Woe unto me if I do not preach the gospel…” Boy, was this my story. Without any 4 hour energy drink, I had a conviction before my call, that this was not of me or anyone else, but God. Any man, woman, boy or girl who is called by God must search within through prayer, spiritual counsel and personal reflection what God has called them to do. You cannot afford to make a mistake. You cannot afford to be wrong. If you are wrong, you could be the biggest embarrassment in town. If you are incorrect, you will leave the ministry when you discover it is difficult, there are storms, it won’t make you rich or you realize you are no longer free to do things your way. It must be so powerful that, if you don’t preach (both with your words and your life) you are worse off than a dead man or woman. In Exodus 3, God commends Moses to use what is in his hand. In Timothy, Paul encourages his young protege to start where he is to use what he has. How is this even possible? Because of the providence of God. I am obviously deficient! No really. I am the lowest on the intelligence bar! It is safe to say that among my two older brothers (Kevin…who is a preacher! & Keith) I am the least intelligent, and have the lowest IQ. I repeat….this is NOT an opinion; this is fact! My brothers were AB honor roll and straight A students. Me? Never made AB honor in my life, except in college one semester! Not only am I the least intelligent, but I have also struggled with my hearing, since childhood. This led very early in my life to struggles in my speech. I have also learned since an adult that I suffer with an attention deficit. It is very difficult for me to concentrate or focus. To this day, I must be reading a minimum of 2 or 3 books simultaneously and working on atleast a couple of sermons. If I do not, then I get bored. I fact, the one semester in college when I made AB honor roll was when I took 26 hours. I loved it! Even in my sleep, my mind goes to the point where I listen to soft music in the background. Anyway…TMI. To me I am messed up. If you ask me, I have too many issues. But God has charged, assigned and equipped me to use me inspite of me! There is no way that I could make this up in my own story. What has the Lord done? Well, in one sense, I was the first of my brothers to earn a college degree and a Master’s degree. This was no one but God. On the other end of the spectrum, I have never lacked an opportunity to preach. With the exception of a time when I went through a storm in my life around 1999, I have preached somewhere just about every Sunday for the past 20 or so years. I’ve pastored 2 churches in the past 10 years. Admittedly, I am not a preacher who ‘Applies’ to churches for pastoring. I have pastored fairly small congregations; neither of them to which I applied. While I may never pastor thousands, God has been more than gracious in my ministry. Even being bivocational, my other job outside of pastoring is….pastoring! I cannot complain. In God’s providence, He knows who you are, where you are and all of your dispositions. Never think that your limitations mean anything to a God Who has no limits. And, by the way, He will always give you more along the way, than He does before you start. You can see this in the life of Jeremiah, young David and even in Christ our Lord. What would you add to this list? I’m interested in hearing your story; and also ask you to take a moment to subscribe to my blog. Thanks for reading! Prayer unleashes God’s power so that He is able to work in our behalf. 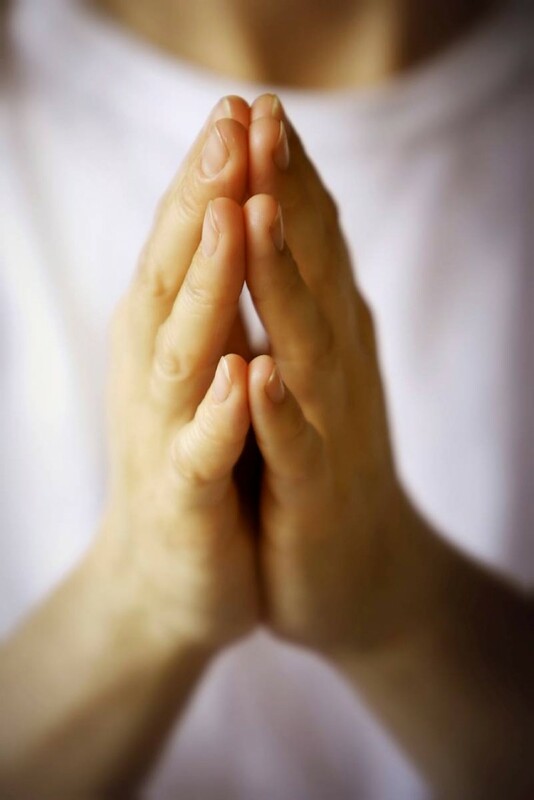 Prayer opens the channels of God’s blessing. 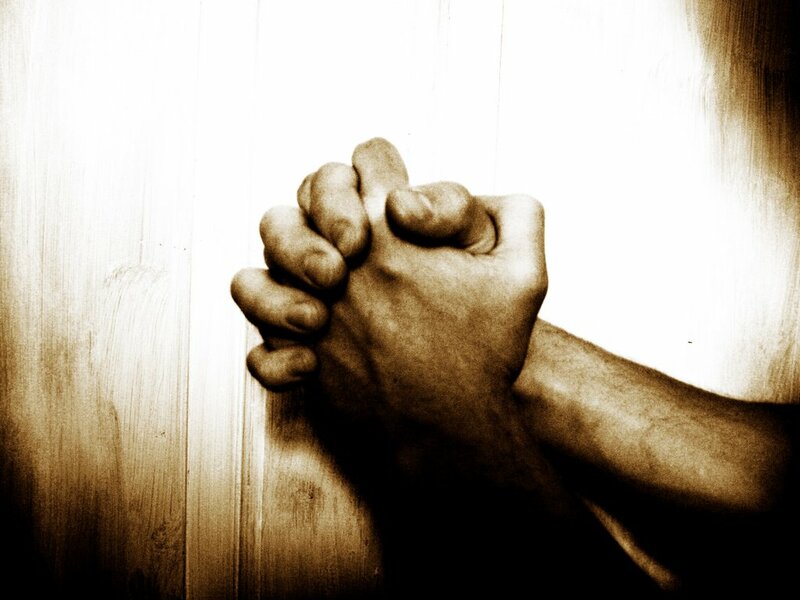 Prayer is how God accomplishes the things that He wants to see happen in our lives, and in the lives of others. Prayer opens new doors of opportunity for God to move in. In Philippians 4:6 it says, “Do not be anxious over anything, but in everything by prayer and supplication along with thanksgiving let your petitions be made known to God.” Basically, prayer is simply talking to God just like you would talk to your very best friend. God cares deeply about each and every one of our problems and is just waiting for us to come to Him with those problems. The Bible tells us over and over to constantly bring our problems to our Heavenly Father. Prayer is not to inform God of something which He may not be aware of or to try to convince Him to love us more. He already knows our needs and He has certainly shown his love. The purpose of prayer is to assist us in building our relationship with God. Prayer unleashes God’s power so that He is able to work on our behalf. Prayer opens the channels of God’s blessing. Prayer is how God accomplishes the things that He wants to see happen in our lives. Prayer opens new doors of opportunity for God to move. In fact, you can view prayer like a door. You are on one side of a closed door and on the other side is God. But standing with God is all this incredible and unimaginable power. When you pray, it is you turning that doorknob and swinging that door wide open. It is at that moment when all that power can step through that doorway and work for God’s good, and for your good. Since He respects our freedom of choice and free will, prayer enables Him to step into our lives. Interestingly, God has limited His power and ability in our lives to the importance that we place on prayer. Prayer gives God the permission (though He is sovereign) to do what He has been longing to do all the time. Even when we do not see anything significant occurring, God is still at work solving the problem. When there are apparently no answers, God is still is waiting for the proper time to give us the solution. Psalm 55:22 – Throw every burden upon God. Psalm 68:19 – Blessed be Our God who daily carries the load for us. Psalm 56:9 – This I well know, that God is for me. There are four basic steps involved in the proper way to pray. 1–Bring the problem to God’s attention. But always keep the problem God- centered and not problem-centered. 2–Supplication. The definition of supplication is—a very honest and clear confession that tells God that you need His help. 3–Focus on God and not on the problem. Keep in mind that our prayers are always to be God-centered. 4–Thanksgiving. You are thankful because you know the following about our great, mighty and glorious God. God is just waiting for you to talk to Him, waiting for those few brief moments when you acknowledge Him, think about Him, and show Him some love and respect. Yes, your God is just waiting for you to talk to Him and He desperately wants to talk to you, not in words, but through your mind and your heart. God is going to bypass the vocal cords and the ear; and instead your heart will feel that gentle tugging, that urging, that pulling. Your heart and mind will know exactly what God is trying to tell you. Take the time this week to talk to Him.